British Pearl’s first property, Acton, was purchased for £398,000 and revalued at £500,000. This can be attributed to a variety of factors, such as British Pearl’s special relationships within the industry and growth of local infrastructure. Another reason for the steep increase in value is the refurbishment it received. Below is a list of individual improvements, additions, repairs and modernisations that could add value to your property. Before performing any work, you should be sure that it will add to the property’s value or rental yield. Cost does not equate to value in all cases. A potentially excellent way to gain a bathroom and bedroom without moving house. If it uses existing space, generally planning permission isn’t required but check for your personal circumstances. It could add roughly 20% to the selling price, potentially more than £42,000, to the value of an average property. Did you know 90% of garages in Britain do not have a car regularly stored in them and are wasted space? It usually costs up to £8,000-10,000 to convert a garage and could add up to 10% to the value of the property. Make sure the first and last thing a buyer sees has been attended to. Landscaping such as mature shade trees can cut your cooling costs, provide a natural habitat and add kerb appeal . To many, a convenient driveway is preferable to a high maintenance front garden so consider off-street parking. Applications for dropped kerbs increased 49% between 2013-2015 to avoid paying for on-street parking permits. Application costs vary so check with your local council first. Off-street parking could cost up to £10,000-20,000 but add £15,000-50,000 in more expensive areas. A modest investment can make a big difference, whether it is increased lighting, an extractor or updating the sink. For a layout, find a kitchen supplier, some of whom offer free design services. The priority should be creating an attractive aesthetic and efficient work surface providing easy access between the kitchen’s holy trinity: the sink, fridge and cooker. Equipment should preferably be up to date so it does not become unfashionable within the next few years. You could spend £1,500-2,000 for a re-imagined kitchen in a small property. It could cost considerably more in a larger house. As the heart of many homes, a stunning kitchen would likely affect the value. However, spending £25,000 on a kitchen in a property worth £220,000 is most likely a wasted investment. A £10,000 kitchen in a £1 million property will probably devalue it. You can add inexpensive alterations here too such as a halogen spotlight unit, new taps, a large showerhead, a heated chrome towel rail, power shower, a glass screen or glass door. 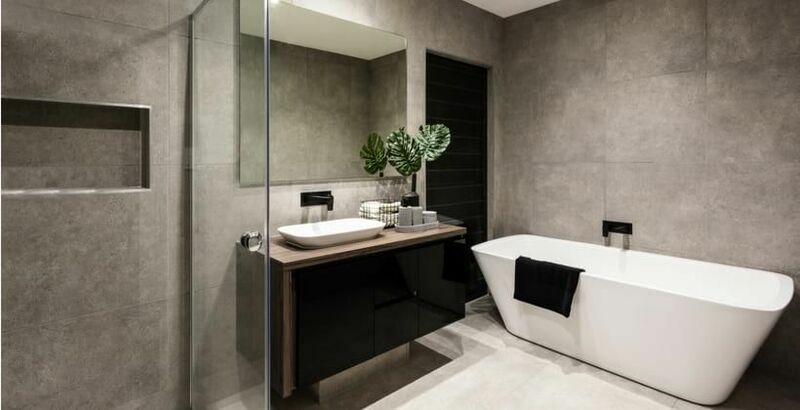 A new bathroom might be adding 2.5-5% to the value of your house. Adding square footage means more space and more value, but sometimes small adjustments can make a space seem larger. Rooms with more light seem larger so shutters are preferable to thick curtains. Mirrors visually double the room. Clear clutter to make conditions less cramped. Installing or updating the central heating system will likely add more to a property’s value than it costs and is a must-have by many buyers. Also, consider sealing drafts, installing double glazing and insulating your loft space. You could spend up to £4,000 but add £5,000 to the value of a property with central heating. You may also want to update the electrics especially if the house has not been rewired in some time. Replace the old fuse box with a modern consumer unit with a residual circuit device which is extra safe and add more sockets which can add some value. In terms of plumbing, old pipework can lead to poor flow, odd sounds and maybe even burst pipes. Updating to a pressurized plumbing system or a combination boiler alongside new piping could add value too. Compile a list of small repairs. Addressing these minor issues will remove any impression of negligence. If a home is being valued, cosmetic solutions will not be able to hide any larger issues. It would be helpful to repair a leaking roof, damp, cracks, infestations, missing roof tiles, etc. as soon as possible. Houses are more attractive when they have obvious potential and planning permission screams potential. Go through the process of gaining planning permission for a basement or an extension without doing any construction and you could attract more eyes. This is the most ambitious type of extension but could offer impressive rewards in certain properties. You would most likely have to move out for months until it is done. It affects the structural load of the property and requires specialists. However, increased space may mean more potential and more demand. It may cost £300 per square foot (£200 for digging, £100 for fitting out), so you are more likely to make a profit if your property is worth at least that currently. A conservatory can add value to your property if it is integrated well and fits the style of the house. In many cases it does not require planning permission, though we recommend that you always double check. A basic conservatory kit could cost £3,000-5,000 and £2,000-3,000 to build. It could of course cost much more depending on your situation. In general, you may find it useful to think about improvements on a holistic level. Increasing the number of bedrooms from two to four may sound like an attractive proposal but not if there is only one bathroom. Adding on a conservatory which does not match the rest of the house can deter potential buyers. Know your ceiling; if you live on a street with houses worth £300,000 on average, do not invest enough money into your property to make it worth £1 million. Those with a million to spend on a property will be unlikely to want to share a street with houses worth much less. Each property is unique and the above information is a set of guidelines not specific to your property. It is recommended that you seek a specialist for the element you are considering.